With ongoing technological innovation, increasing inner city transportation issues and the recent success of hi-tech sharing companies such as Uber, Mobike and Zipcar, the sharing economy is booming and consumers are embracing the concept of shared fleets. With consumer and business group preferences shifting from ownership to shared access, Vmoto has identified that this market segment is expanding rapidly and has proactively developed and upgraded its electric vehicle range to provide shared fleet solutions that will fast track the Company’s international footprint. 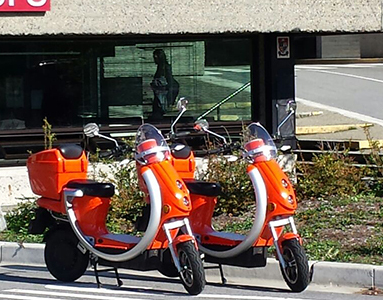 Vmoto has worked closely with its partner, Loopshare Inc, which operates in electric scooter sharing markets, to customise Vmoto’s electric scooters for use exclusively in Loopshare’s electric scooter sharing operations. The customised Loopshare electric scooter is the first fully integrated electric scooter sharing system in the world, which use Loop webapp to locate and reserve a Loopshare keyless electric scooter, unlock using Loopshare electric scooter digital dashboard to start riding and return by parking at ease. 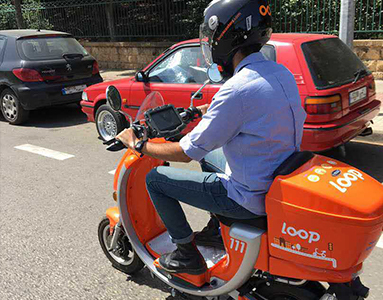 Loopshare and Vmoto believe a new and smart concept for transportation is possible and Loopshare has since expanded to North America, Asia and Middle East.